’Tis the season for gathering friends and family to give thanks and, of course, to feast! Traditionally thanksgiving has meant roasting up a turkey and serving it with meat-laden sides, but odds are with dietary preferences and restrictions ever-changing, you or at least one of your guests may want to skip the bird and reach for the veggies. So how do you make the switch to a vegetarian-friendly Thanksgiving feast? It’s easier than you might think. We’ve gathered a handful of our favourite meat-free Thanksgiving dishes to make your meal prep a breeze. You can either swap in one veggie dish for your usual carnivorous one, or use the full list to make your whole meal vegetarian friendly. 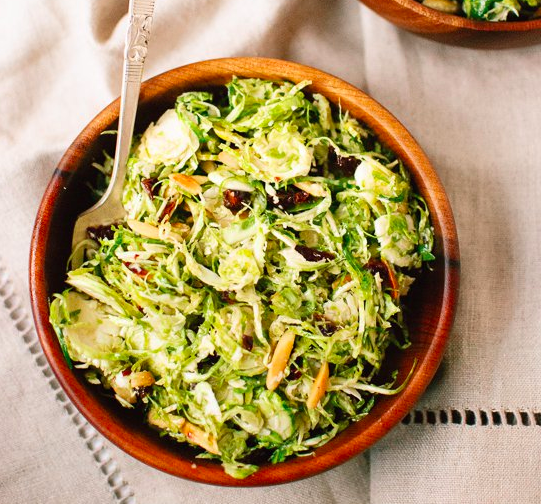 Get your meal started by marrying the salad course with the usual side of brussel sprouts and serve up this Honey Mustard Brussel Sprouts Slaw from Cookie And Kate. Swap the heavy turkey dressing for a delicious super-food side with this Rye, Kale, Mushroom and Pumpkin Seed Stuffing from bon appétit. Alright, the traditional yam side dish might already be vegetarian-friendly, but why not nix all that butter and sugar reach for cauliflower and olive oil instead? 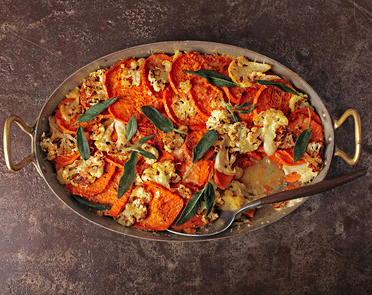 Try this Sweet Potato Cauliflower Gratin with Crispy Sage Leaves from Martha Stewart. Even the meat-eaters are sure to enjoy this lightened up swap for traditional, heavy yams. You have more options than Tofurky when it comes to your main. 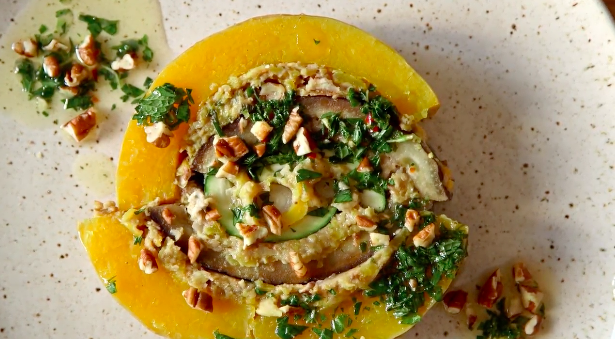 Why not celebrate squash instead with this Butternut Squash Vegducken from Epicurious? Don’t worry, in spite of the name no ducks were harmed in the making of this fully veggie version of the traditional Turducken. Of course, no Thanksgiving meal is complete without pumpkin pie. The traditional type will do for your vegetarian guests, but if there’s a vegan at your table (or, if you just feel like adding a healthy kick to the dessert course), try serving up these Mini Pumpkin Pie Tarts with a Sunflower Cookie Crust from Oh She Glows. And that’s a wrap on Veggie Thanksgiving! Happy eating from our Social Nature family to yours. 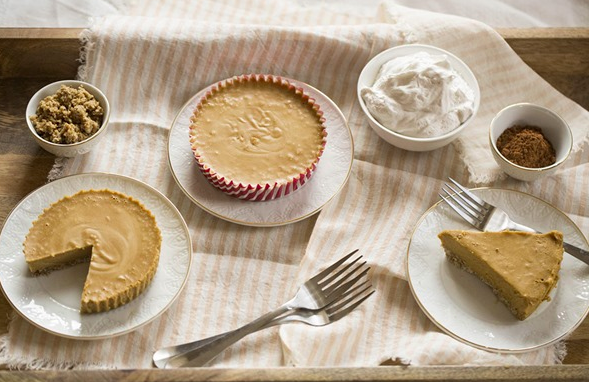 Great recipes, I’m looking forward to trying out the pumpkin pie tarts! Oh my which one to choose??? How about all of them!!! One by one I will check these off. I have to, they look so good!! Thano for the fresh recipes!